GoPro collecting dust on your shelf? It’s time to remind yourself of the action camera’s versatility, and these 15 videos will show you just what you’ve been missing. By the time you reach the end, you’ll be dying to make your own crazy GoPro videos! But you don’t have to use a GoPro. Many of the lower-priced alternatives Buying a GoPro or Action Camera: 7 Useful Things You Need To Know Buying a GoPro or Action Camera: 7 Useful Things You Need To Know If you're into skiing, cycling or surfing, then an action camera is the perfect way to record your adventures. Read More will do the job. 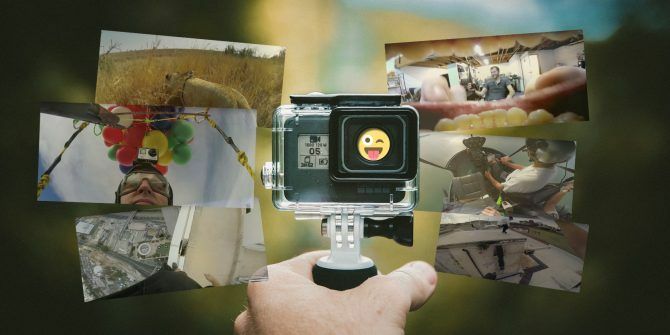 In most cases, you won’t even need 4K You Shouldn't Waste Your Money on a New GoPro - Here's Why You Shouldn't Waste Your Money on a New GoPro - Here's Why Should you upgrade your live action camera, or is GoPro doomed to failure? We investigate. Read More ! 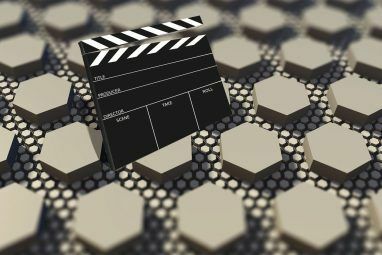 A warning before we continue: Some of these videos feature scenes and acts of considerable danger, and have been performed by experts. Please, where you can see that personal risk is involved, don’t imitate these actions. Always use your GoPro safely, and within the parameters of your own limitations. We’ll start with one you’ve already seen… and if you haven’t, now is the time. With a GoPro attached to his helmet, rider Kelly McGarry rides down a narrow mountain path on his bike, building momentum for the main event: backflipping over a canyon. It’s a 72-foot gap, and earned the cyclist a second-place finish in the Red Bull Rampage event of 2013. Recorded on a GoPro 3, this video has been viewed almost 35 million times on YouTube. Next is this beautiful video, filmed in Colorado. Combining some stunning drone-made establishing shots (not using a GoPro drone though GoPro Karma Drone Review and Giveaway GoPro Karma Drone Review and Giveaway The Karma is GoPro's first foray into the drone market. The device underwent a global recall when it was first released last year, but it's back and ready to take on the world. Read More ) with stick-and-chest-mounted GoPro action, the video gives you a good look at the elegance and energy of snowboarding. Now here is a strange, othwerworldly video. In the absence of a GoPro on Mars, you’ll have to make do with this. There are so many things you can do with a GoPro, and they’re not all extreme sports 6 Ways To Use GoPro Cameras That Don't Involve Extreme Sports 6 Ways To Use GoPro Cameras That Don't Involve Extreme Sports GoPro cameras can be used in plenty of ways other than shooting extreme sports, six of which we'll be exploring in this article. Read More . You could, say, use your GoPro to find out how things work, or experience the view from a completely new angle. For instance, you might attach your GoPro to an arrow and fire it. Or you might go one step further and strap your GoPro to a a projectile and launch it from a cannon. Oh, and while you’re at it, why not strap a pair of GoPros to a sword and record a fantastic duel using an amazing new angle? These three videos were all produced by Sam and Niko, and we think you’ll agree they’ve done some exciting GoPro projects. This is a video by Maddie Moate for the BBC’s children’s series Do You Know? In almost every episode, Ms. Moate sticks a GoPro into a machine, factory conveyor, or some unusual situation in order to help illustrate how things work. In this example, Maddie — one of the most engaging edutainment vloggers on YouTube Life as a Vlogger: What's It Like? We Asked 10 YouTubers Life as a Vlogger: What's It Like? 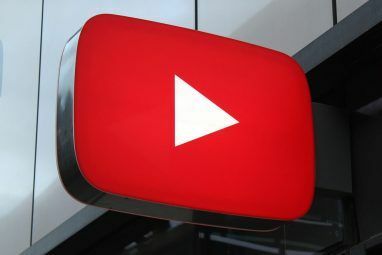 We Asked 10 YouTubers You probably know about the YouTube giants – PewDiePie, Jenna Marbles, the Vlogbrothers – but what about all of the smaller vloggers who make up a huge amount of the content produced on YouTube? Read More — demonstrates how an escalator works. Of course, Maddie got special permission to place her GoPro inside the escalator. But that doesn’t mean that you won’t be able to. It doesn’t hurt to ask — just stay safe! …but only if you’ve plenty of experience in doing so safely! Here’s Dylan Balog, jumping from a 105-foot high bridge in West Virginia. Using a GoPro strapped to his head gives the experience a unique first person perspective. If you’ve ever wondered what it looks like to jump off a bridge, here’s the answer. As for the stones he drops in, there’s a theory that disrupting surface tension on water can aid with a safe fall. But in truth, a fall from a lethal height will still prove fatal, surface tension or not. It’s believed that 250 feet is the maximum height you can fall from into water, and survive, although you’re unlikely to walk away unaided. A GoPro, on the other hand, can fall over 12,000 feet without damage 8 Things You Probably Don't Know About GoPro Cameras 8 Things You Probably Don't Know About GoPro Cameras GoPro action cameras have enjoyed a rapid rise in popularity in the last few years, but despite their prevalence, there is a lot you probably don't know about the devices. Read More . You are not a GoPro. Featuring Rush Sturges and Ben Marr in a tandem kayak, this video is full of energy! These guys navigate a drainage ditch in Lions Bay, British Columbia. What you saw is their second attempt at the ditch (the first using individual kayaks), an 800+ meter descent. During the video they hit top speeds of 45 mph (72 km/hr), and the excitement is captured in helmet-mounted GoPros as well as one on their tandem kayak. Do you know how your toilet works? Okay, but do you know how it really works? How does the flush work? What does it look like inside the tank? And what might you see if you looked out of the toilet? …on top of a skyscraper. This is a 500-foot high tower in Tel Aviv, Israel, so there is considerable risk. Speaking as a danger-averse spectator, I have no idea why anyone would do this. Of course, Jason Paul has immense control over his balance. Which is why you should probably limit yourself to handstands on a park bench or tumbling mat instead. Since it hit mainstream public consciousness, free running has proven to be a thrilling spectator sport. But what’s it like to actually climb, run, and jump up and down buildings? Here, a team of free runners in the U.K. demonstrate the excitement and thrill of navigating rooftops. One of them is wearing the GoPro, giving you the chance to see just what free running is like from a first-person perspective. Popping balloons sound really crazy, right? Well, what if they were helium balloons? And what if there were enough of them to lift you and your chair into the sky? Oh, and what if you had a shotgun to pop the balloons with before parachuting down to earth? As ideas go, it’s pretty harebrained. But it’s also fun to watch! What’s going on in your dishwasher? How do the plates and pots and pans and spoons actually get clean? What do you mean, you’ve never even thought about it?! Using a GoPro Hero 4 GoPro HERO4 Session Review GoPro HERO4 Session Review If you're going to jump out of a plane or fly down a mountain on the back of a bike; I'd guess that you'll be doing it with a GoPro. Read More Black, the owner of this dishwasher presents a full length wash cycle, or as they put it, “a foam party in 4K”! I’ll be honest: I’ve never wondered what it might be like to fly between skyscrapers (I’m more of a Spider-Man fan). But Brandon Mikesell clearly has. Here he is with Ben Verde (wearing the camera), completing a flight between skyscrapers in Panama City, Panama, wearing just wingsuits. You’re not Batman. Neither are these guys, but they’ve got a ton of experience with parachuting and wingsuits, so please, don’t try this. What does a lion see as they stroll across the savanna? Ever fancied a lion’s eye view of the world, or wondered what it might be like to sit on a lion’s back? Meg is a lioness, and she’s wearing a GoPro. No lion is going to let you ride on their back, so this is the nearest you’re ever going to get. It’s quite wonderful seeing how the creature’s shoulders move as she walks. Note that this video shows a lioness hunting a buck. While there are no graphic scenes, this demonstration of the circle of life may prove distressing to some. Let’s finish with this amusing gem: sticking a GoPro in your mouth! We’re not talking about orthodontics — although I guess that might be an option — but placing a GoPro just behind your teeth to demonstrate how the world might look from inside your mouth. Ever wondered what it might be like to be eaten by a giant? Or shrunk down, Inner Space-style, and make an attempt to escape? Or what a slice of pepperoni sees before it slides down your esophagus? Now you know! Share Your Crazy GoPro Videos! That’s our selection of GoPro videos, spanning science, comedy, and high-risk handstands. Again, please don’t try any of these things without the proper training. What’s your favorite GoPro clip? Just how crazy is it? And did you make it yourself (perhaps employing an iPhone as a GoPro substitute? 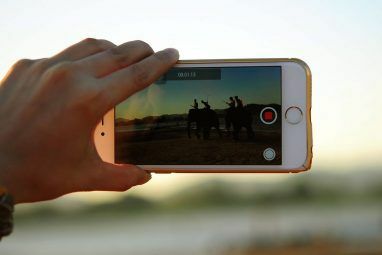 How to Use Your iPhone as a GoPro Action Camera How to Use Your iPhone as a GoPro Action Camera Do you really need to spend more money on action cam when you probably already have a fantastic camera in your pocket? Read More ), or simply find it on YouTube? We want to your suggestions. Share below! Explore more about: GoPro, Video, YouTube.